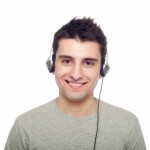 Clinical Hypnotherapist or Hypnosis MP3 Download? Home »Meditation & Hypnosis»Clinical Hypnotherapist or Hypnosis MP3 Download? 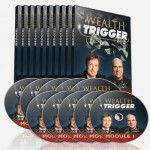 What offers better value for money: a Clinical Hypnotherapist or hypnosis mp3 download? We weigh up the pros and cons of each. There are many people turning to hypnosis either because they are not seeing results with traditional forms of treatment; or in order to assist the progress of traditional forms of treatment. We have spent over 20 years using hypnosis and have first-hand experience on the benefits that it can provide. We even have one of our team currently studying to be a certified hypnotist. If you are interested, you can take a home-study hypnosis course here (and it’s a lot cheaper than you might think). 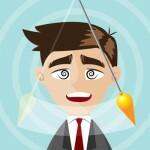 Hypnosis: An ‘Alternative’ or a ‘Complimentary’ Therapy? Clinical hypnotherapists are becoming ever more popular and are now accepted as people who can offer real benefits in treating patients. Hypnosis used to be called an ‘alternative’ therapy. However, now it’s actually seen as a ‘complimentary’ therapy. Meaning that it has finally been accepted into the medical profession to be used in conjunction with traditional forms of treatment. Whatever term you want to give it, there is no doubting that more and more people are turning to hypnosis, with many testimonials confirming its effectiveness. Steve G Jones, in the USA. Paul McKenna, in the UK. After a career as a radio DJ, Paul actually made his name as a stage hypnotist, but then decided that he could make better use of his skills to help others. These guys have brought the practise of hypnotherapy to an even wider audience, whilst debunking the myths that hypnotherapy is just a load of woo-woo mind nonsense. A qualified hypnotist can offer a bespoke service. After an initial consultation, the hypnotist can really tailor their hypnotic script to meet the patient’s needs. Police siren passes by – outside in the street. “….and in the distance you can hear a police siren. As the siren fades away you go even further into trance”. If you were listening to a self-hypnosis recording, with no hypnotist in attendance, you are likely to get distracted by either of the above scenarios. Hypnotists can provide support should the experience start to bring up upsetting thoughts. They can also alter the follow-up consultation to meet any changes in the patient’s circumstances. Whilst there are clearly benefits from seeing a hypnotherapist, there are downsides too. Hypnotists are qualified professionals. And as with all qualified professionals (e.g. doctors, dentists etc. ), you do have to pay a premium for spending one-on-one time with them. For many people, the cost of seeing a qualified hypnotherapist prohibits them from having a meaningful course of treatment after the initial consultation. Having said that, some people respond to just one course of hypnotherapy. Whilst there are a number of hypnotists in major towns and cities of the western world, if you live in a small village, you might be out of luck. Even if there are a plethora of hypnotists, most people are just too busy to visit one more than once a week. Having said that, many hypnotherapists will provide a recording of the session – although that won’t be the same quality as a professionally made studio recording (see below). Whilst it is easy to see if the hypnotherapist has qualifications, you won’t necessarily know how experienced they are. And do they have the competence to perform hypnosis? Whilst they might have the practical knowledge, putting it into practice can be a whole different ball-game. So what’s the alternative to seeing a Clinical Hypnotherapist? In the past 30 years, there has been a new development in the hypnosis world – Self-hypnosis. Meeting the partner of your dreams. Today, the catalogue has been greatly expanded, with some providers offering more than 200 titles. In addition, the development of CDs and, even more recently, digital downloads has led to a vastly superior and effective product. Another feature of today’s hypnotic recordings is the technology used to record the tracks. Computerized mixing of today’s digital recordings have allowed for some real advanced tracks to be produced – very often with binaural beats. This slows the brainwaves down – allowing for a more relaxing experience and makes the listener more suggestible to the hypnotist’s scripts. A lot of the following are self-explanatory and are also the polar opposite of seeing a certified clinical hypnotherapist. Prices can range from as little as $9. Even at the higher end of the market, it can still work out a lot cheaper than several sessions with a hypnotherapist. You can play the hypnosis sessions whenever you want. Typically, people will play them last thing at night, just before going to sleep (try booking an appointment with a hypnotherapist at 11:30pm!!). Unless you order a bespoke recording (which will be more expensive), then the ‘off-the-shelf’ versions are obviously not going to be designed for your specific needs. Having said that, the off-the-self products are fantastic if you are just starting out with hypnosis. If you are buying off the internet, you have to make sure that you are purchasing from a reputable supplier. There are a couple of providers that we have used and are delighted with their products (see below). There are quite a few people that we recommend, having purchased their products ourselves. Here are our top 5. We are currently going through Steve G Jones’ hypnosis and NLP trainings – and we wouldn’t be doing that unless he was REALLY good. Just take a look on the right or left-hand side of his webpage for the amazing amount of ‘done for you’ hypnotic downloads and CDs. Another one of our favorites, who has inspired us to write some of the hypnosis articles on this site. Take a look at the many categories at the bottom of his home page. 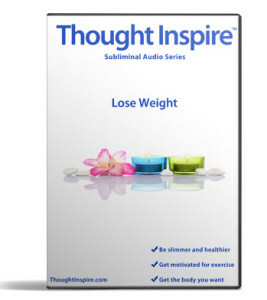 Amazing value – Buy 1 Hypnosis session and get 17 more for free !!! These guys offer a massive catalogue of subliminal recordings. These guys are currently offering a 60% discount (as at summer 2014). 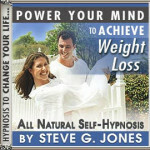 One alternative not covered above is the possibility to make your own hypnosis recording. The software needed can be picked up online for free, plus of course you can design a script to meet your own specific circumstances. How you actually go about designing a full hypnosis script, is covered in this program. 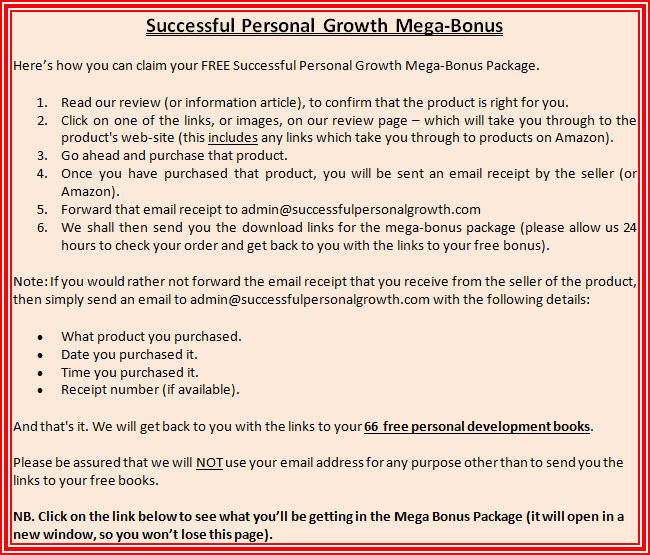 If you decide to purchase any of the products recommended on this page, via one of the links on this page, then we’d like provide you with our mega-bonus (of 66 personal development books) for free. Just follow the instructions below. The books you’ll be getting in the mega-bonus can be seen in this link. 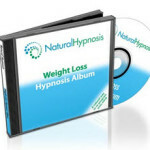 We use hypnosis CDs and MP3s every day, for all sorts of things (e.g. ensuring that we don’t get writers block, unshakeable motivation, avoiding procrastination) – and we can tell you that they certainly work for us. Whatever you might need hypnosis for, take a look at the on-line stores from the recommended suppliers (above) to see how they can immediately start to change your life.